Wedding season is here ladies!!! Getting married is one of the biggest moments and steps you will take in your life. This means it’s very important to make it as memorable as possible while looking as good as possible. We love seeing and creating new bridal hairstyles and we definitely have a few favorites that never go out of style. The first look we love is the curly low up-do. This hairstyle starts off with three french braids, one going down the back and one on either side. If you have bangs, leave those flowing in front to let them shape the front of your face. Take the rest of your hair, curl it, and use bobby pins to pin up the curls so it is all up and out of your way on your big day! This bridal look is very easy to do and looks absolutely gorgeous. Simply create some messy curls in your hair and pin parts of the front back with a few bobby pins and add a partial flower crown or one of our Crown Jewels and you’re all set! As you all probably already know about our obsession with curls and braids. Our last favorite bridal hairstyle is the simplest of them all. 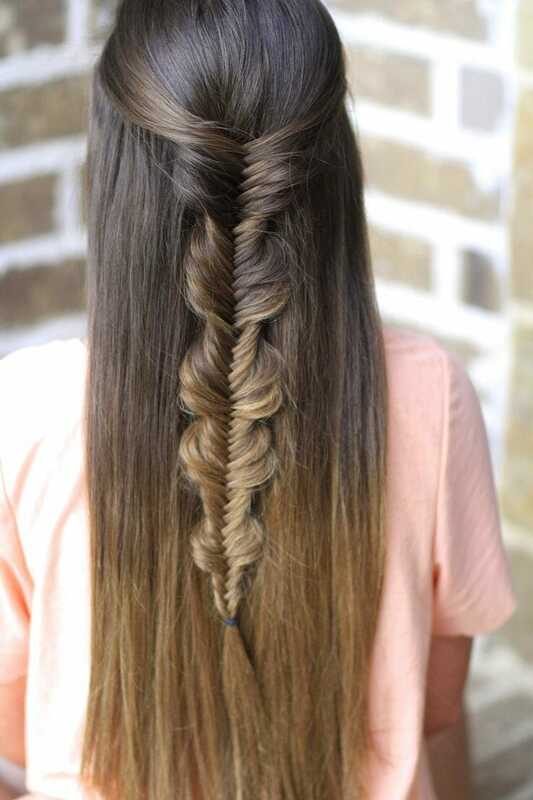 You just need to straighten your hair and then add in a long fishtail braid down the back. To add a little life to the braid, pull out a few strands here and there creating something like the picture below! Bridal dresses on the other hand are a different story. These dresses being made are changing every season and getting even more beautiful! It’s making it so hard to chose just one! These three dresses and hairstyles definitely made the cut of being our absolute favorites! 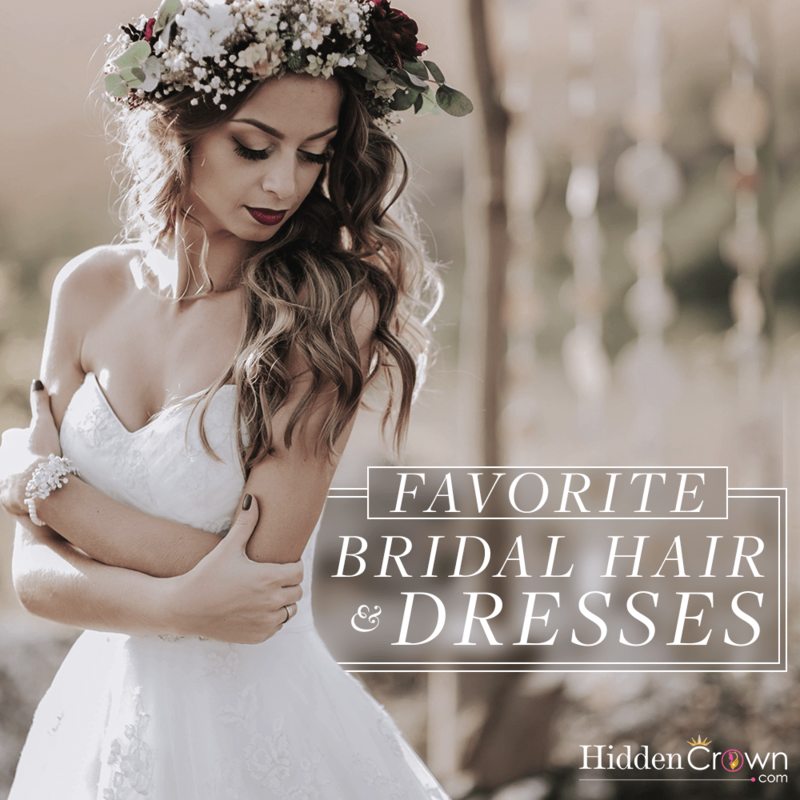 If you’re getting married this season, we wish you the best of luck deciding on your perfect dress and hairstyle for your big adventure!